Here's a solution: ...make it your thing. Only about two years ago, color freaked me out, even so much to the point that I didn't want to be near it. Why invest in a piece of clothing that's far too flashy if it won't match with the rest of my wardrobe? When I bought a pair of shoes, I'd immediately go for black, and when looking at the general palette of my closet, it would be a mix of neutrals, muted blues, and maybe some pastel pinks and rusty oranges. Primary colors were practically nonexistent. But, as all styles change, especially through our coming-of-age stories, bright hues soon became a staple of my sartorial life. Was it because I was simply exhausted from making up for the lack of color in my wardrobe with bright lipstick (and frankly, pieces that just did not fit my style whatsoever)? Or was it this new surge in obsessing over Instagram influencers who were themselves obsessing over summer and the colors that followed the trend of #lovesummerhateeverythingelse? or you could go with one color scheme (red in this case), but splay it across your entire 'fit. No matter how I got here, I got here. The girl terrified of color has transformed into one who embraces it through and through. While I've resolved my fear, I know many haven't. Instead of introducing color into your wardrobe like a tsunami, it's best to do it in waves. One piece at a time! It's just like getting a haircut—if you have long locks and want to go full-on pixie, it feels a hell of a lot less scary to do it in phases (take me, for example). The same goes with color—if you slowly introduce the trend into your everyday wear, soon, you'll become the human version of a rainbow. Just in time for Pride month! So! To show you all how to do this, I decided to revert back to my 18-year-old self and start from the beginning. I did exactly what I am telling you all to do now—start slowly. Jacket and jeans are vintage (jeans from The Break). Bodysuit by American Apparel (rip). Mules by & Other Stories. To put it simply, all you have to do to dive into the world of color is to wear color. Who knew! In all seriousness, it only requires taking one piece that's bold (bright red, cobalt blue, gen Z yellow) and pairing it with neutrals. In a way, this makes the 'fit more interesting, as everyone's eyes go directly to that one piece. The rest hardly even matters, since people will be too busy staring at the singular piece of color. It's easier than you think! 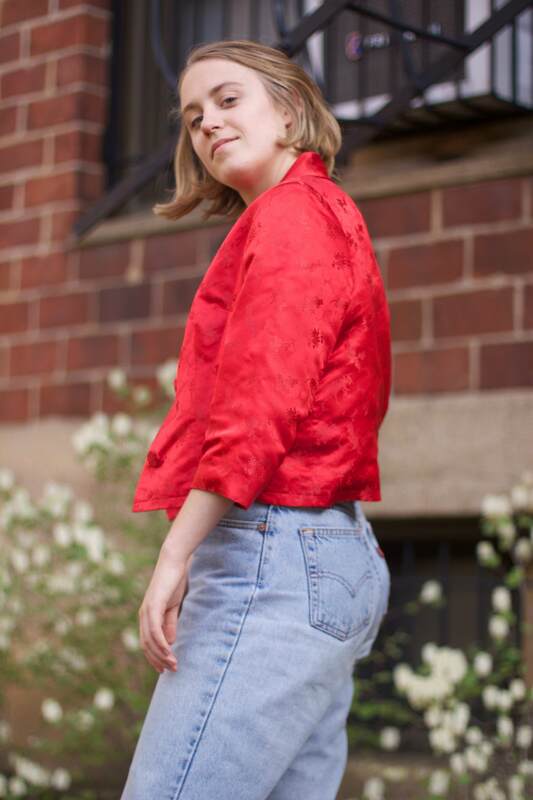 In my case, I made sure to focus on the statement piece, which was this one bright red brocade jacket I discovered at my local thrift store (also handmade and stitched in Hong Kong in the 1950s, if you were curious). 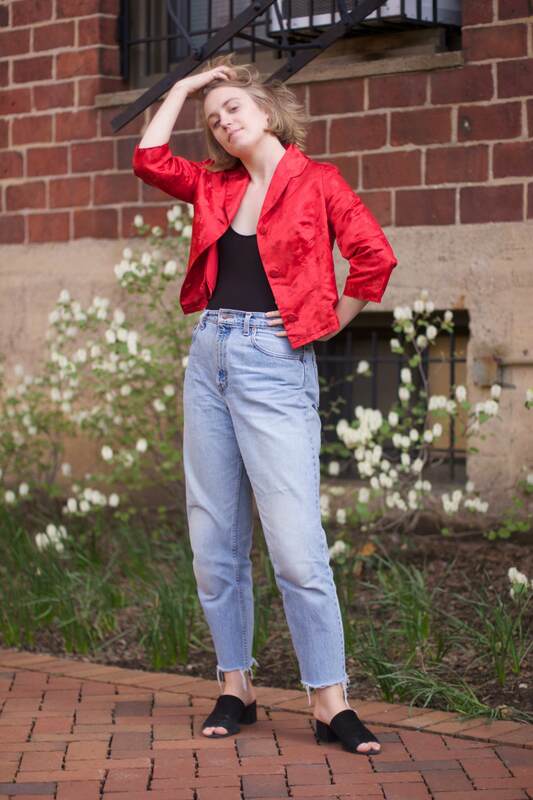 I crafted my outfit around this item, which is the trick to working with color—my favorite pair of vintage jeans, a simple black bodysuit, and my go-to summer shoes quickly fell into place. If the jacket were black, I'd be extremely bored and on my way to a business casual meeting. But instead, the red makes me look ready for anything. Isn't red the color of power? No wonder a red lip is the fastest way to immediately boost one's confidence. And the same goes for adding a touch of color to your look—I have a strong feeling it's scientifically linked to increasing your mood. Maybe it is. But what I do know is that you'll look a hell of a lot more exciting. That's all that really matters, no? All photos shot by Tori. Their styles say a lot about you, too. The Myers-Briggs test led most of my high school decisions, and it still continues to do so today. I fondly remember taking the quiz multiple times a year and still being satisfied with my results. INFP, if you were curious. The dreamer! Every single characteristic of my test results seemed to speak for me, and I felt a spiritual connection with other INFPs and soon began guessing my friends' MBTIs. Then came astrology, a more recent obsession that I used to hold a huge suspicion for but now fully believe in. Gemini, a once hated sign, soon began to dictate my life. Leo moon and Aquarius rising soon followed, then I began to self-identify as a Cancer, as I was technically supposed to be born in July. I, once again, started guessing people's signs and shaping my relationships based on what month they were born in. Maybe not a healthy decision, but nonetheless, a decision that was made. Then another pseudo-science emerged, one that possibly I only believe in but feel is even more defining than the psychological science behind MBTI and the astrological science that is your natal chart. Ever since fandoms became a thing, it has been commonplace to relate to a character or band member after becoming part of the fandom of said show or band. If you've watched all of Buffy and haven't labelled yourself as a Buffy, a Willow, or a Xander, are you actually a true fan? We become part of fandoms for two reasons: to relate to characters, stars, and musicians or to be attracted to them. It's human nature to want to see your own personality be represented in the media or to see your dream girl or guy existing as an actual human being, even if it's in the form of a character. There's a reason why "Which [insert TV show] Character Are You" Buzzfeed quizzes are so damn satisfying. 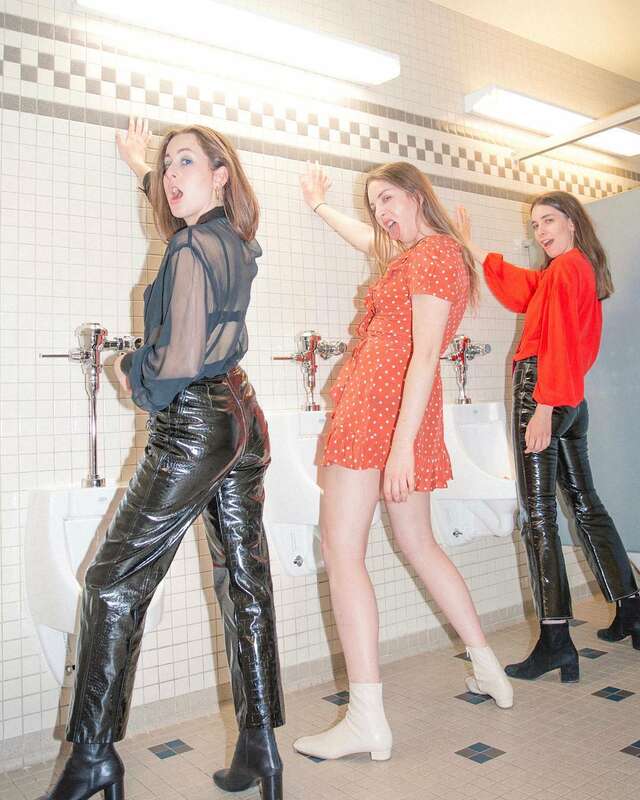 This feels too relevant when thinking of the band HAIM, a musical group of three sisters I've loved since my high school days and saw a few nights ago and had the best concert experience, well, ever. Was it because their music is that good, and I've been waiting for this day for five years? 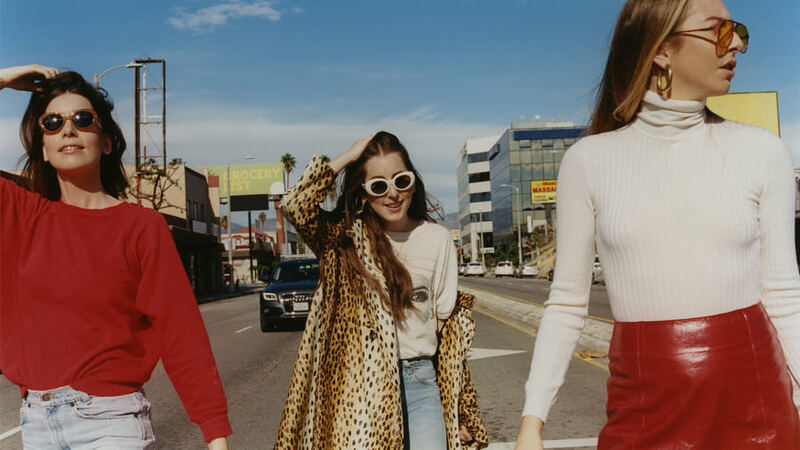 Or was it because the Haim sisters are people I equally want to be best friends with, want to date, and, finally, aspire to be? I know I'm not the only one who thinks this—their one million+ followers on social media not only love their sound, but are also most likely obsessed with the sisters themselves. All from L.A., all carrying an L.A. look with effortless styles and 70s-esque middle parts, and all being far cooler than any set of sisters or music group I know. 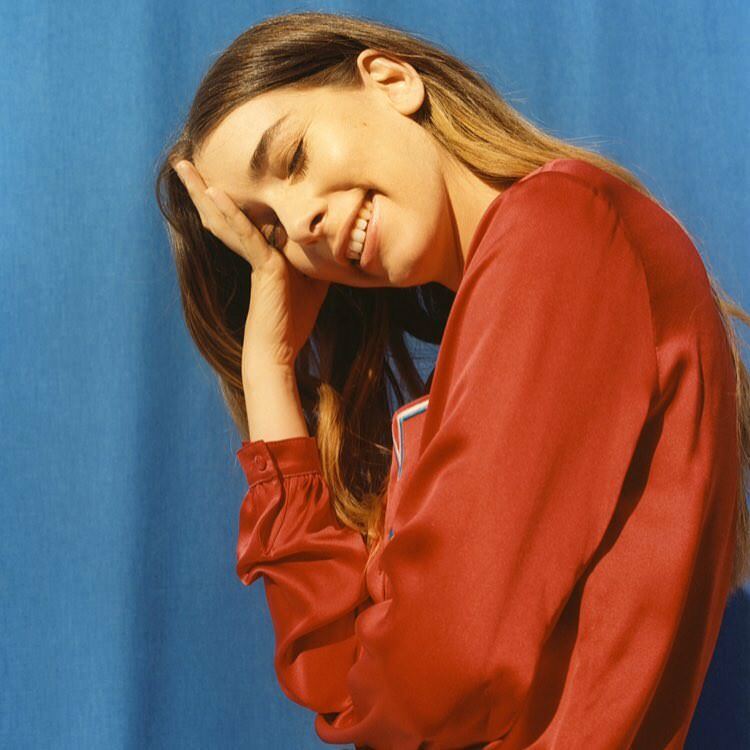 Enter the pseudo-science I mentioned earlier: relating to a specific Haim sister on a spiritual level does more than just inform people of which member you like the most. Maybe you're truly only one of them, maybe you're a combo of two, or maybe you see yourself in all three. The possibilities are endless, so let me break it down. Starting from the youngest. 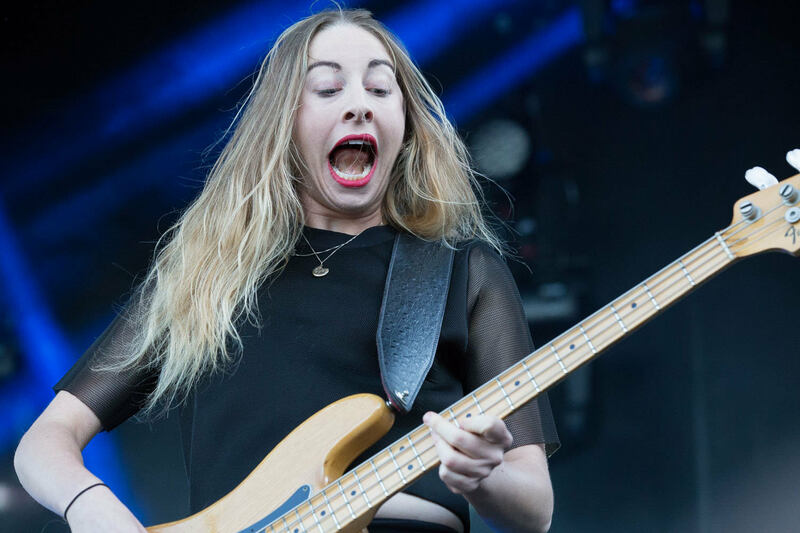 If you identify with Alana Haim, there's a lot to say about you. You're such a complex being! You're most likely the youngest sibling, which means many things: you love attention, using all of your energy to talk, and, most of all, selfies. and being this extra. But looking amazing while doing it! But being the youngest also means being the runt of the family, aka having to talk a lot just so your family will listen to you and to make up for being picked on constantly. But all in good spirit! Because you are the fun of the family, even if you don't try to be at all. 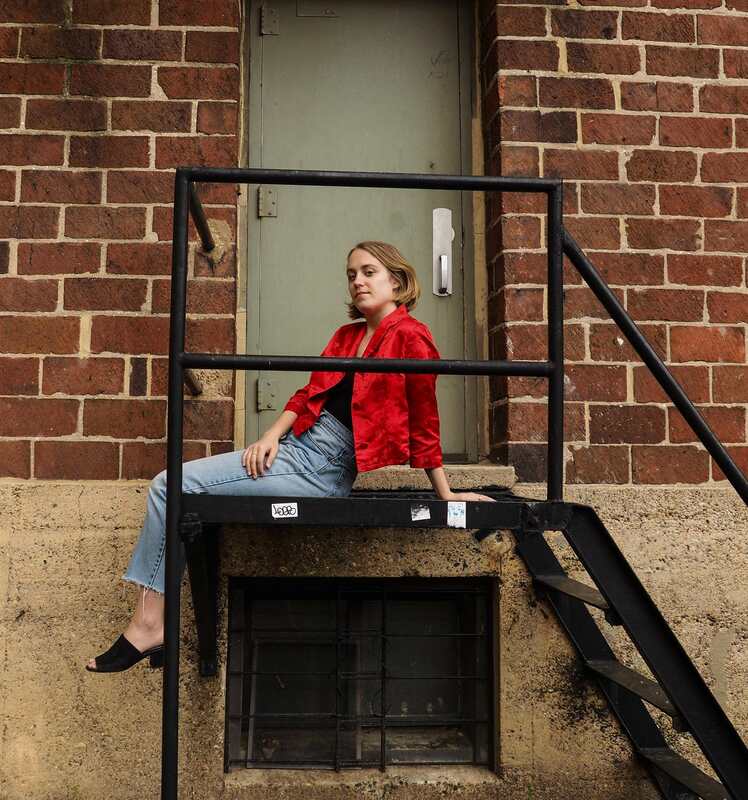 Your style is a whole other field: being the youngest means you have to put more effort into everything you do, including your fashion choices, but it doesn't show one bit. 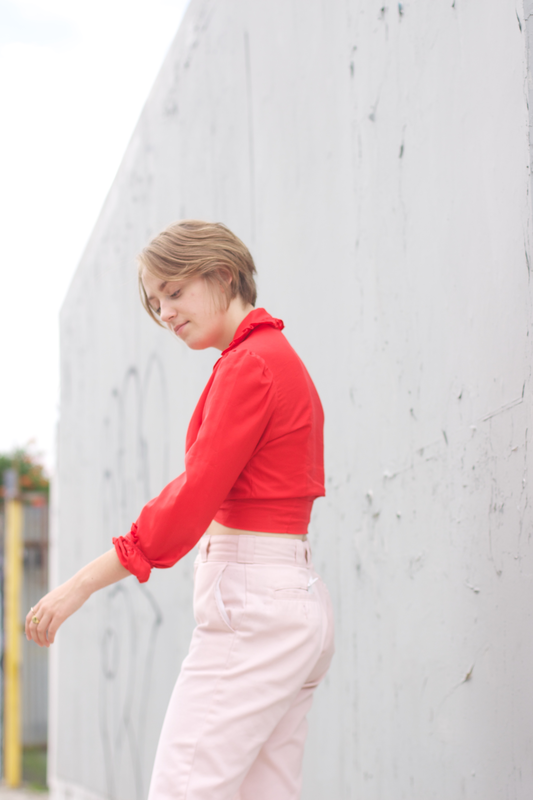 Vintage Levi's are your best friend, you're a sucker for a simple tee, but you also know how to pull off patent leather pants like no one's business. You either stay classic or go all the way. No in between. Which makes her the favorite of so many—she carries so many different styles and sartorial identities that practically anyone can relate to. At the end of the day, you're the most lovable. Sometimes tough love is the best kind of love out there. or a baby-blue suit with Adidas Gazelle sneakers. What a power move. Basically, you're silent but deadly. Everyone wants to be you, but you pretend like you have no idea. Even though all of you and your sisters are extremely real, you're real in the sense that you also show your not-so-glamorous features and aren't afraid to hide it. Being candid is so much more exciting! Posting pics like this one and this one prove to the world that maybe social media isn't a place for your most perfect self, but instead your most authentic self. And you're so sure of yourself, maybe because you had the most amount of time to grow up. This especially shows in your fashion choices; its continuity throws the idea that style is always changing in the trash. And when I say continuity, I mean you literally do not own a single pair of pants. You also love doing a bold lip or a statement eye, because even those investment dresses don't speak for all the personality that's inside you. If you were curious as to what my HAIM chart is, here it is: I'm truly an Este (although I am the youngest of my two sisters), I aspire to be a Danielle, and I desperately want to date an Alana. What about you? Let me know in the comments below, and maybe I'll know more about you than I ever once imagined. 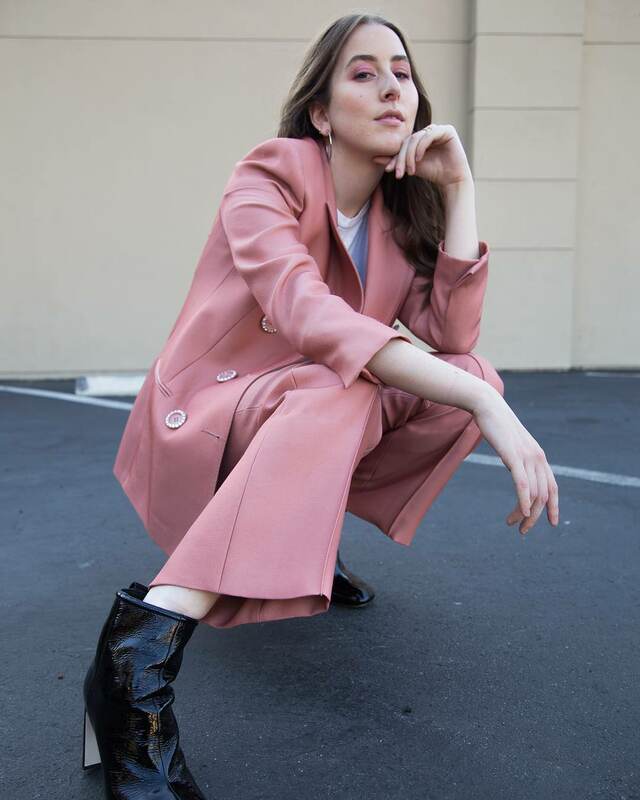 All photos, except for the feature photo that is already credited, from the Instagram accounts of @haimtheband, @babyhaim, @daniellehaim, and @estehaim.